Ms. Wills leads the Government Contracts practice area for the Berkeley Research Group (“BRG”). BRG is an expert services consulting firm that provides strategic consulting and litigation consulting across many industries and competencies. She is responsible for overseeing the Government Contracting practice area’s activities, including serving as an expert on client matters and, executing projects successfully. Ms. Wills is an expert in the field of government contract accounting, administration, and compliance. 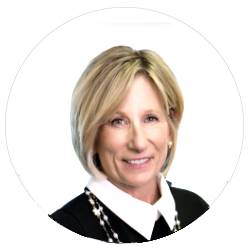 She has over 30 years of experience providing regulatory consulting, auditing and accounting, and financial advisory services to Companies and Organizations that range from middle market to the Fortune 100. Ms. Wills has in-depth experience with the Federal Acquisition Regulation (“FAR”), the Cost Accounting Standards (“CAS”), and other Federal government procurement regulations. Ms. Wills’ expertise includes working with companies in virtually every industry, including professional services, aerospace, defense, higher education, health insurance, manufacturing, information technology, telecommunications, professional services, construction and engineering, high tech, energy, biotech, and not-for-profit industries, most of whom receive Federal contracts. She specializes in advising commercial companies how to adapt practices to conform to the complex government contracting regulated environment. Ms. Wills has experience with all forms of government contract acquisition matters, from competitive procurements to commercial item exemptions, as well as GSA Schedule and other Government-Wide Acquisition Vehicles. She has expertise assisting companies obtain GSA Schedules, undergo audits of GSA Schedules, and defending in asserted price reduction matters. She assists throughout the entire life cycle of government contracts, as well as providing expert advice on a myriad of complex government contract accounting and contract administration related matters. Ms. Wills has worked with companies on due diligence assignments, as well as complex transaction structuring and post-acquisition integration. She is an expert at assisting organizations as they restructure for competitive purposes, including the strategic, organizational, cost accounting, and other regulatory impacts associated with mergers and acquisitions. Ms. Wills has also directed special investigations, fraud investigations, alleged False Claims investigations, Qui Tam/whistleblower allegation investigations, and other litigation consulting assignments. She has assisted companies prepare and deliver voluntary disclosures, whereby results and findings were presented in connection with settlement negotiations. She has testified as an expert witness on varied matters, including False Claims, lost profits, damages, government contract claims, and other disputes. Ms. Wills has been admitted under protective orders before the Government Accountability Office and the Court of Federal Claims for bid protest and other matters and as a testifying expert. Ms. Wills performed financial statement audits of publicly-traded and private companies as a partner with Arthur Andersen. She has extensive experience preparing and analyzing financial statements and disclosures, and in applying and adhering to Generally Accepted Accounting Principles, with special expertise relating to government contracting industry accounting and audit matters. Ms. Wills received her B.S. in Commerce with a concentration in Accounting from the University of Virginia, and is a Certified Public Accountant (CPA) licensed in Washington, D.C., Virginia, and Maryland.